[tps_footer]AIB’s comedian Tanmay Bhat has got himself in the limelight by creating a controversial video on Lata Mangeshkar and Sachin Tendulkar. Soon after he posted the video on his Snapchat, each and everyone lashed out at Tanmay for insulting the two legendaries of India. Bollywood celebs and political parties also expressed their anger. 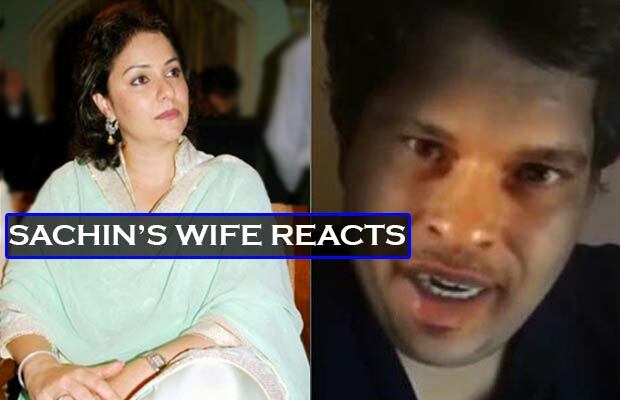 Well, now Sachin’s wife Anjali Tendulkar has lashed out at the comedian on social media. Well, Tanmay Bhat‘s humour has turned into a strong debate and has been receiving flak from everywhere. The video captioned “Sachin vs Lata Civil War”, which was posted on Snapchat and YouTube will be blocked from everywhere after Mumbai police will consult legal experts. Much before the video went viral, Tanmay had tweeted: “When you guys write about me tomorrow can you please use my snapchat ID – it’s thetanmay thanks”. Next articleHere’s Why We Think Jennifer Winget Is An Absolute Diva!